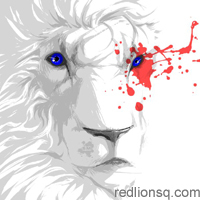 I'm excited to share my poems "Aiyana" and "Nylons" on Red Lion Square's audio magazine. of manna and falling birds. *I'm participating in Novpad with a few modifications. 1)I'll probably only participate Monday - Friday. 2) My focus is on revising poems rather than creating new ones. 3) I will add new poems. 4) My goal is to stop the bad habit of writing poems that stay in my notebook never to be published. 5) I'm using novpad to practice self-editing so I can send these off to markets.